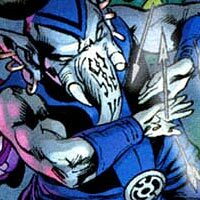 Formed by exiled Oans Ganthet and Sayd, the Blue Lantern Corps support the Green Lantern Corps, utilizing the power of hope to build a better future. Booster Gold joined the united spectrum of lantern corps (AGENT ORANGE, Blue Lantern Corps, GREEN LANTERN CORPS, INDIGO TRIBE, RED LANTERN CORPS, Sinestro Corps [see SINESTRO], and the STAR SAPPHIRES) in a desperate bid to save all living things from the BLACK LANTERN CORPS. Designed as an international conglomeration of companies with an emphasis on technology, Booster Gold International (BGI) was intended to be competition for such major corporations as LexCorp, owned by SUPERMAN villain LEX LUTHOR. 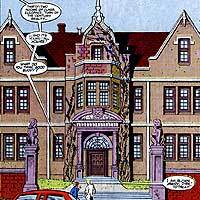 The company was headquartered in a Metropolis mansion that was also the home of Booster Gold. Booster Gold reorganized Goldstar, Inc. into Booster Gold International after returning from the 25th century for the second time. The BGI mansion utilized state-of-the-art technology in order to provide Booster and the BGI employees both safety and privacy from Booster's enemies. BGI acquired several companies to feed its growing empire; most of these companies were technological in nature, though BGI did purchase United Mutual insurance company in order to fire the unethical Peter Cochran who made life difficult for Booster Gold following an embarrassing public run-in with the RAINBOW RAIDER. Andre Briggs, head of United Nations Intelligence (see UNITED NATIONS), and his assistant Emerson Esposito convinced the U.N. to sanction a new Justice League International in order to address global threats. This new team was comprised of members from around the globe, including August General in Iron of China. 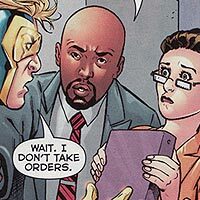 Briggs recruited Booster Gold to lead the newest Justice League International primarily because Briggs recognized the value of Booster's high public profile and believed that Booster could be easily manipulated. After Briggs' plans were cut short by an unexpected bombing, Booster Gold had to tell Mister Esposito that his daughter and Briggs were caught in the explosion. Jeremy Brysler is the owner of Brysler Motors, manufacturer of the Brysler-Booster Mark IV automobile, more commonly known as the Boostermobile. 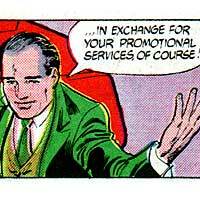 DIRK DAVIS negotiated with Brysler Motors to produce the Boostermobile to specifications provided by Skeets I (see SKEETS) in exchange for Booster Gold's promotion of the new product. Booster became concerned about the deal when he realized that the Boostermobile would be marketed to the general public, raising the question of Booster's foes using Booster Gold endorsed products to commit crimes.